I’ve always, always wanted to do one of these posts, so I decided today would be that day! Sorry for the quality of the photos, I was using my iPhone and there was no natural light, and that this post will probably interest 0.000% of the readers. My notebook I’m forever writing ideas down! Bobby Pins they’re a girls best friend. Forever Friends lip balm you’ve gotta keep your lips hydrated! Spring Water If there isn’t a bottle of water in my bag, then there’s something wrong. Impulse body spray always fresh. Amongst all this are countless receipts, hair bands and a lot of.. well, crap! I do try to keep my bag neat and organised but it always ends up so messy! My key bunch is also in there but it’s ridiculously massive, it’s got a SpongeBob ty teddy on it! 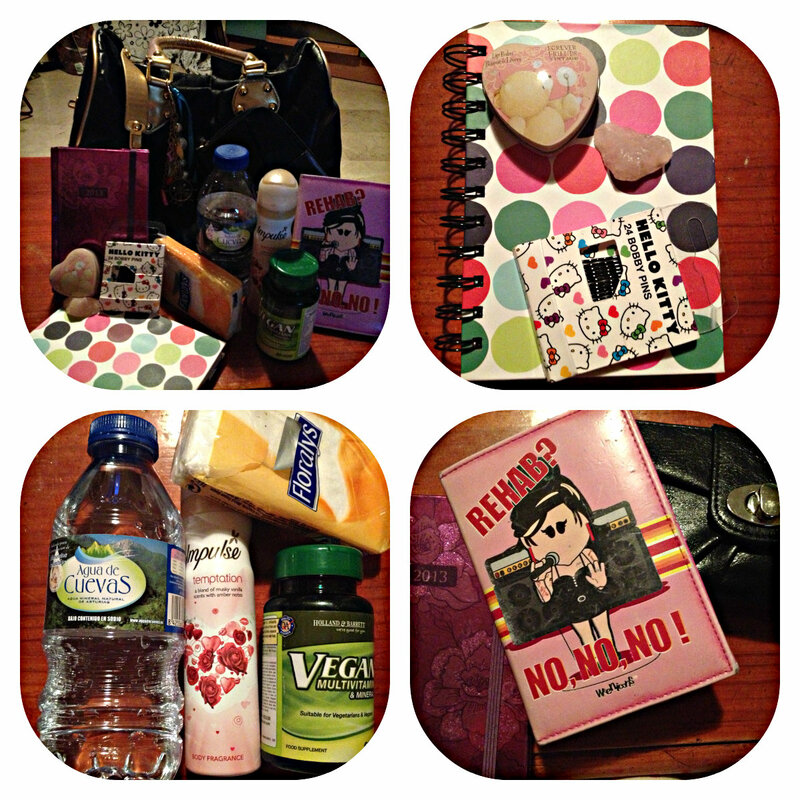 What do you have in your bag?